Who says miracle doesn't happen? This clip is a proof of it. 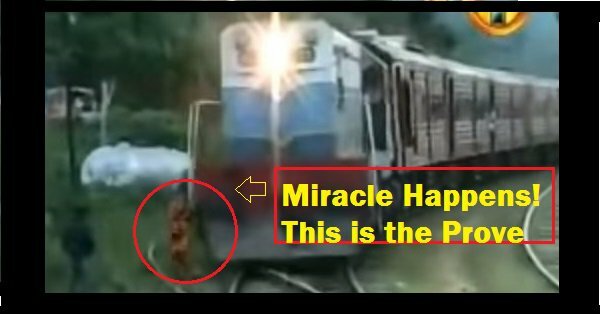 In Hindi, there’s a proverb, ‘Jaake rakhe saiyan, maar sake na koi’… There must be some miracle or this proverb working on when the train was at its normal speed and a young girl came on the track… What could have been expected.. A Bad Dead… But just like some filmy story where the hero survives against all odds, something similar happened on the same line..